There is something therapeutic about coffee. When I was a kid, summer holidays were spent in the bungalow at my grandparents home. Early in the mornings, you would wake up to the aroma a freshly filtered coffee. Even as a kid, I wanted to just scoop out those coffee granules and eat them! The fragrance of freshly brewed coffee always makes me happy. And a cup of hot coffee makes me happier. And when I find products that have a hint of coffee, I want to just buy them! 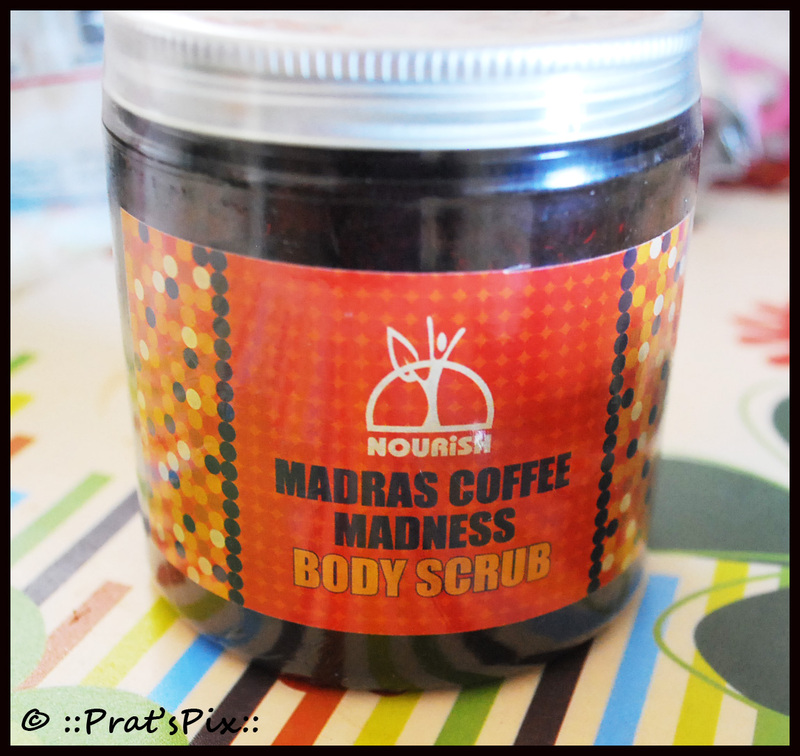 One of the items from my recent haul from Naturelle was Madras Coffee Madness Body Scrub by Nourish. Disclaimer: My take on the product is not going to be biased just because I like coffee! I love body scrubs. And when it has coffee, there is very little that I can do to resist it :). When I opened the lid of the jar, I was immediately engulfed with the smell of the “typical filter coffee”. If you have lived in Southern India and have had neighbours who brew coffee early in the morning, you will know exactly what I mean. The fragrance was a bit over powering, but it wears off after a while. Packaging: It comes in sturdy plastic packaging that ensures no damage even if you drop it accidentally. I love the colour of the bottle and the packaging is very simple but nice. I liked the colour combo, brown and orange! 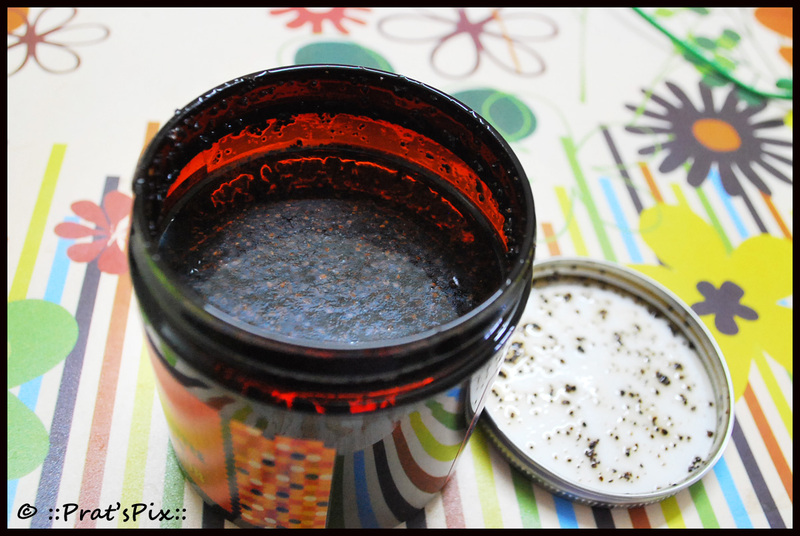 The Madras Coffee Madness Body Scrub also has fine sugar granules along with almond oil. The three fragrances that stand out in this body scrub are, coffee, sugar and almond oil, exactly in that order. What I liked about the Nourish products is that they are inexpensive and the quality is really good. I have used their soaps earlier. How to use: Since I am a bit wary about dipping wet fingers in the jar, what I generally do is scoop out the desired amount in a small bowl. Wet your body and apply the scrub and use circular motions to exfoliate the dead skin. 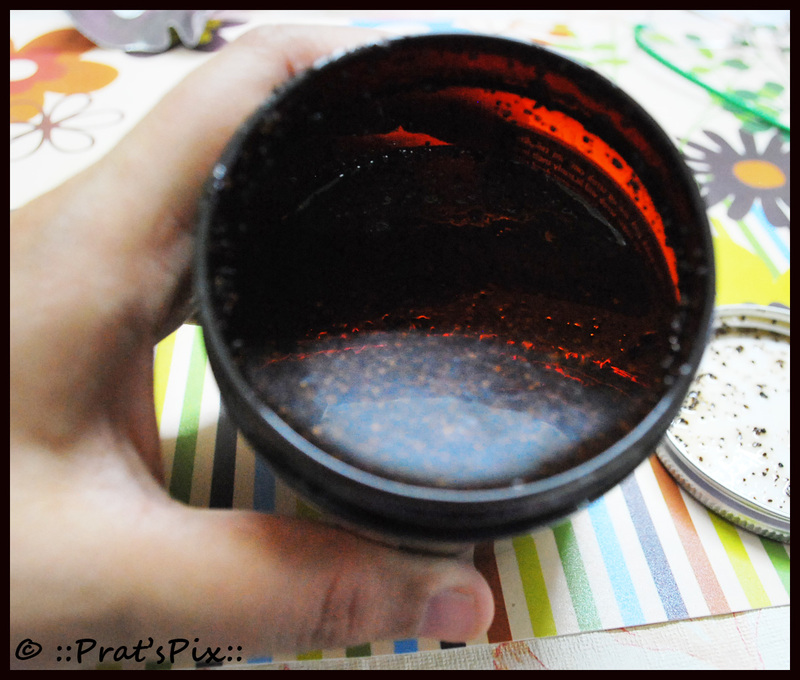 Price and shelf life: The jar is 250 gms and it costs Rs.345. It comes with a shelf life of 24 months from the date of manufacture. Take your coffee addiction one step further ! This quick pick me up scrub contains cellulite busting coffee .Rich in Cocoa Butter & nourishing oils, our sugar scrub will literally melt into your skin leaving it silky smooth. Absolutely no need for lotion. So scrub away your dead cells & feel the difference . Sugar , Coffee Beans , Cocoa Butter , Jojoba Oil , Coconut Oil , Castor Oil , Vitamin E Oil , Fragrance & Preservatives. Thanks! I hope you like the prod as much as I did!